Scrapped in 1966 in Mexico. 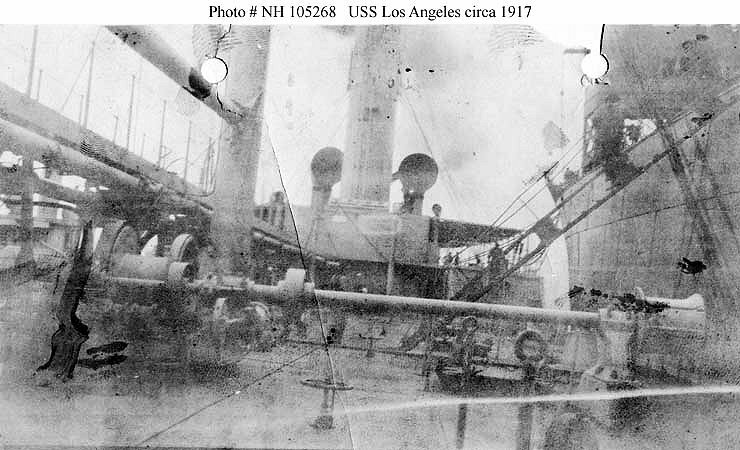 Dictionary of American Naval Fighting Ships History: The first Los Angeles, a single screw tanker, was built by Union Iron Works, San Francisco, Calif., in 1916; acquired by the Navy under bareboat charter from her owner, Union Oil Co. of California, in 1917, and commissioned at New Orleans, LA, 9 August 1917, Lt. Comdr. Alexander Mackenzie, USNRF, in command. 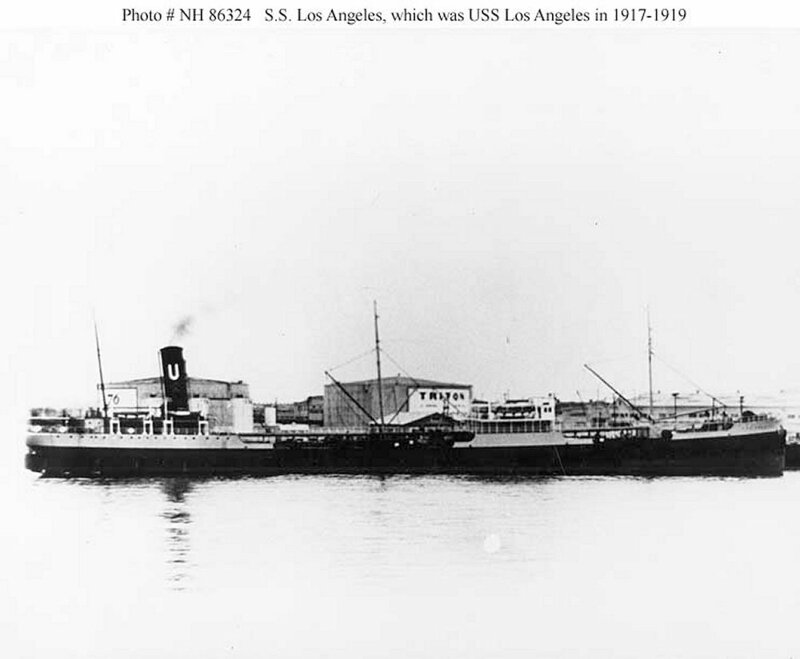 During the remainder of 1917, Los Angeles operated along the Atlantic and Gulf coasts and made two cruises with the Atlantic Train Force. 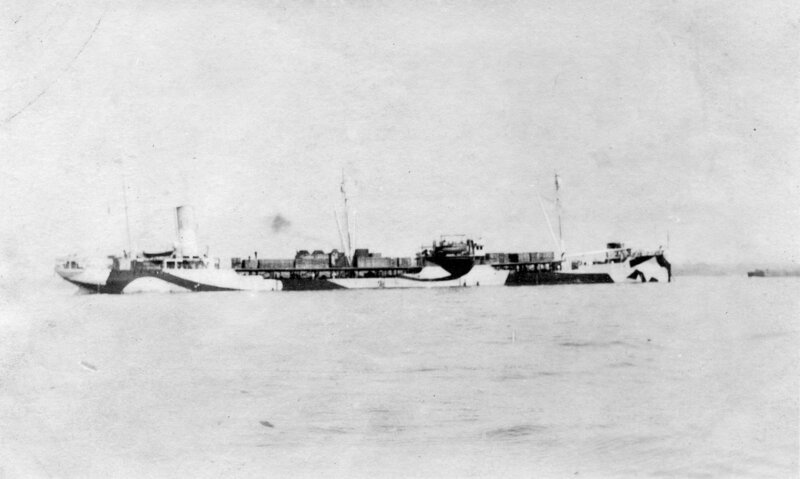 She was assigned duty with NOTS on 9 January 1918; and, after loading cargo at New York, she sailed 16 January for the British Isles. She reached Scapa Flow 4 February, discharged her cargo, and returned to the east coast from 7 to 27 February. Between 4 and 10 March, she sailed from New York to Port Arthur, Tex., where she loaded fuel oil before departing for Hampton Roads, Va, the 14th. She arrived 20 March, thence sailed the next day to join a convoy bound for Europe. Between 21 February and 10 November Los Angeles made four transatlantic runs out of east coast ports, carrying fuel oil to Brest, France, and Portsmouth and Devonport, England. During the latter part of November she transported a similar cargo from Philadelphia to Cristobal, Canal Zone, and, after loading crude oil at Tuxpan, Mexico, she returned to New York 16 December. 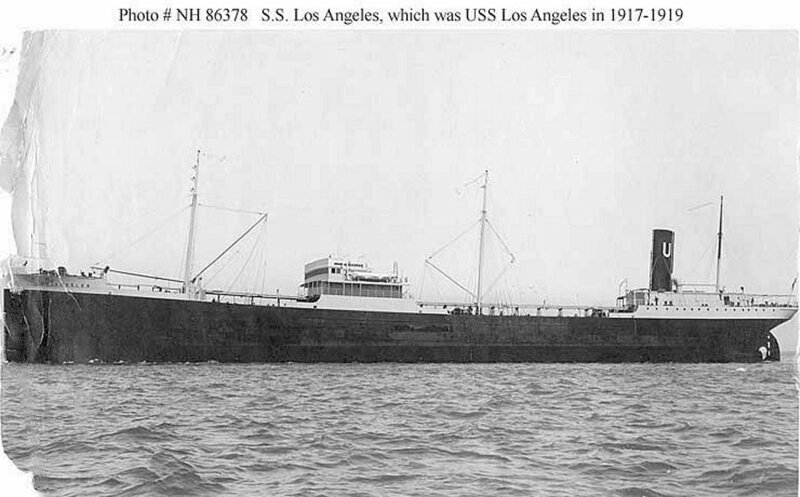 Los Angeles decommissioned there 17 January 1919 and was returned to her owner the same day.